What’s wrong with the U.S. economy? That’s a question being asked not only by working people, but also by the so-called experts. The economy declined a shocking 2.9% in the first three months of the year – the worst performance since 2010. While payrolls have increased by an average of 200,000 a month in the last five months, at the same time the percentage of workers now in employment is at a 36-year low of 62.8%. Is the economy really picking up, or is this another false dawn? Beth Ann Bovino, chief U.S. economist for Standard and Poor’s, states: “It has been the worst recovery in 55 years. 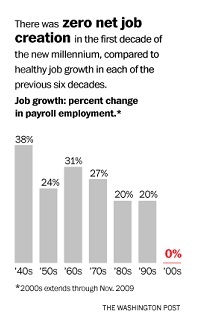 We’ve had incredibly slow growth.” As a result, tens of millions of working people remain long-term unemployed. Over 19 million workers remain unemployed, marginally attached to the workforce or involuntarily working part-time (Bureau of Labor Statistics June 2014). For working people, a key sign of this failure has been the U.S. economy’s inability to create living wage jobs. The economic sectors which have traditionally provided living wage jobs, as a result of past labor struggle – manufacturing and construction – have stagnated. Nearly 40% of jobs created since the recovery began – about 1.7 million – have come from three low-wage sectors: food services, retail, and employment services. This weak recovery has failed to turn around the key problems plaguing U.S. society: low wages and record levels of poverty. Not only has it left tens of millions of workers in a desperate situation, but this has undermined the spending power of U.S. consumers, weakening the ability of businesses to grow through increased domestic sales. Government spending is also being scaled back. 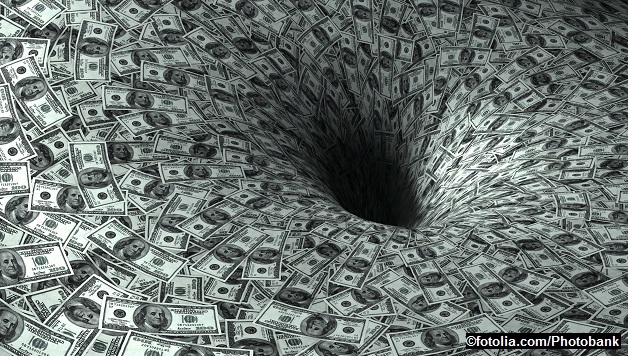 Not only has federal and state spending been slashed, but the Federal Reserve is scaling back its monthly injection of money into the economy due to the emergence of new emerging financial bubbles. With no major boosts from international trade, many economists are looking to increased business spending to boost the economy. But as Neil Irwin at the New York Times writes: “Five years into the economic recovery, businesses still aren’t plowing much money into big-ticket investments for the future. Nonresidential fixed investment – what businesses spend on equipment, software, buildings and intellectual property – still hasn’t bounced back to its pre-crisis share of the economy, let alone made up for lost ground from the record lows of 2009.” Business Week reports a similar story: “Growth of capital spending during this recovery is about 30 percent below the average of the prior five recoveries, according to Bank of America Merrill Lynch” (Business Week 20 May 2014). The reason is rooted in contradictions inherent to capitalism. In the past, the U.S. economy was driven forward through investment in industry, but today, economic growth is dominated by financial markets. Investing their super profits in financial markets may boost big businesses’ own earnings, but it does little for the overall economy, except create new financial bubbles. It’s not that these corporations have no money to spend. According to Matthew Philips, associate editor for Bloomberg Businessweek: “Cash on corporate balance sheets has increased almost 70 percent over the past four years to more than $2 trillion, the size of Russia’s economy. Profits are high, and employee compensation as a percentage of GDP fell to a 65-year low last year” (20 May 2014). The failure of the CEOs of these financial giants to invest in industrial production demonstrates the inability of capitalism to find a solution to this crisis that can lift all boats. Despite the economic devastation caused by the real estate bubble crash of 2008, these big banks have been getting massive government handouts in the form of loans at low interest rates. Defenders of capitalism argue that economic recoveries overcome losses inflicted during previous recessions. But, for working-class people, the crisis of five years ago has only intensified the drop in living standards. Even during the previous ‘boom’, there was a zero net job gain between 2000 and 2009. No previous decade going back to the 1940s had a job growth of less than 20 percent. The failure of this recovery to support a growth in the real economy and living wage jobs demonstrates this new parasitical phase of capitalism. With world markets saturated, the logic of capitalism – to maximize short term profits – will continue to boost stocks and bonds, which are overwhelmingly owned by the wealthiest 1% and 0.1%. With both Republican and Democratic parties dominated by these same gigantic banks and corporations, we cannot expect any change from their policies. This means that, at best, the economy will stagger along for a period. At worst, these new bubbles will burst, tipping it into a new deep recession. As socialists, we demand that the economy serve the needs the vast majority of society. We need to raise our voices and demand nothing less than a living wage job or a decent standard for all working people. We demand the restoration of all cuts to public education and public transportation and full funding for necessary social services – for the sick, disabled, the young and the elderly. We demand a massive public program of investment in green technology to provide living wage jobs for all and to address climate change. If capitalism is unable to provide these things, we demand a change in the system, and the introduction of a democratic socialist system that can do this. Despite this so-called economic recovery, a recent survey by The Associated Press found that: “four out of five U.S. adults struggle with joblessness, near-poverty or reliance on welfare for at least parts of their lives, a sign of deteriorating economic security and an elusive American dream.” Nationwide, the count of America’s poor remains stuck at a record number: 46.2 million, or 15 percent of the population. While poverty rates for blacks and Hispanics are nearly three times higher than whites, it is growing fast among whites as well. Next articleDemand a Moratorium on Fossil Fuels!